For Piano, Harp, Dulcimer, Bass, Cello, Guitar, etc. The K&K Sound Big Twin External is a two-sensor piezo pickup, especially designed for bigger instruments with low mechanical resonance. 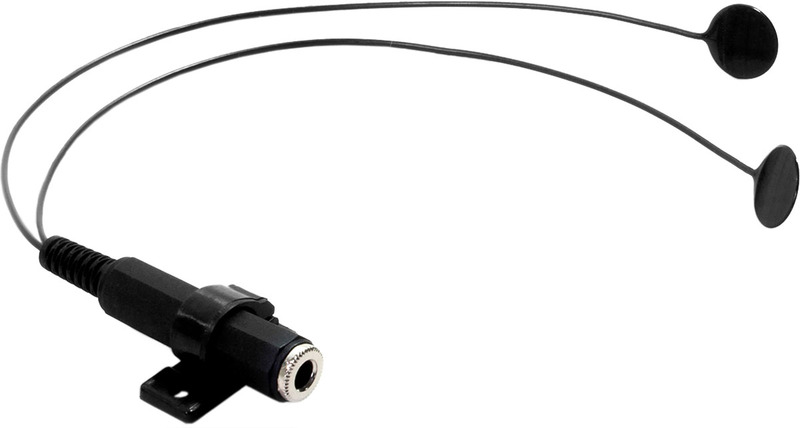 The extra strong output signal makes it a versatile choice for a variety of instruments. The two heads allow for positioning at two spots which results in improved balance of the sound and a wider and flatter frequency response. The Big Twin is recommended for piano, grand piano, harp, dulcimer, double bass, cello and even acoustic guitars. The K&K Big Twin includes an external, surface-mounted jack. The external jack comes with a self-adhesive holder for quick and easy placement on the instrument. The pickup sensors are attached to your instrument with a special double-side adhesive film, which is UV resistant to ensure safe adhesion even after years of use. 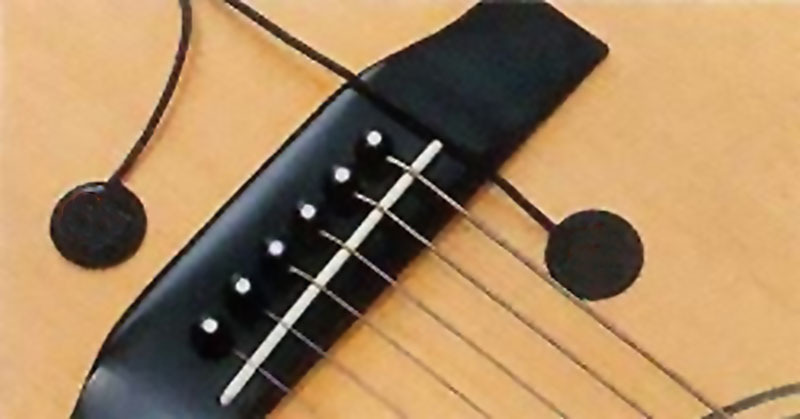 The adhesive is ultra-thin and enables the harmonic frequencies to completely pass through to the pickup sensors. Lead wire length (each): about 12"
Pickup dimensions (each): 3/4" x 1/32"